If your childhood summers were anything like mine, you spent a good deal of time blowing thousands of soapy bubbles through a flimsy plastic circle at the end of a wand. It turns out that these bubbles are a great metaphor for understanding a basic challenge of leadership – remaining open to the diverse perspectives of your team. In a way, each of us lives in our own perceptual bubble. We mistake the view from inside our soapy bubble for reality. Yet its curved membrane refracts the light passing through it, giving us both a distorted view of the outside world and a funhouse reflection of ourselves. Having lived with this filter for our entire lives, we forget that our perspective is not reality, but merely our unique perspective. Recently, organizational psychologists have become interested in how this phenomenon influences leaders’ effectiveness. As the co-founder of a leadership development startup, I’ve asked many leaders at many organizations to rate themselves and their colleagues on trustworthiness, ability to give constructive feedback, manage conflict, and take responsibility for mistakes. Every time we’ve administered this survey, no matter the organization, its demographics, sector, or size, we find that individuals rate themselves higher on these matters than they rate their colleagues. 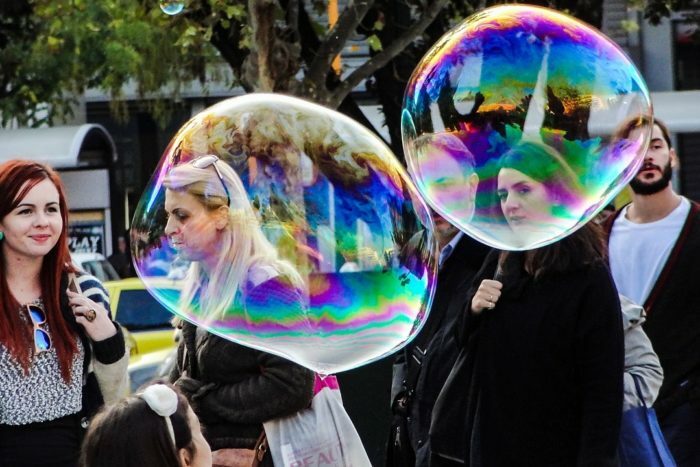 This research illuminates one distorting aspect of the perceptual bubble – the tendency to be more generous in evaluating ourselves than we are in evaluating others. We call this phenomenon the “generosity gap,” a divisive wedge that creates distance between colleagues and makes it harder for them to get through to one another. How then should we think about closing the generosity gap? While most leaders are not inclined to venture outside their bubble and into the foreign mind of a coworker, doing so builds the capacity for empathy and helps colleagues perceive one another with greater clarity. A 360 review can be an excellent tool to help leaders get outside their own bubbles to develop greater appreciation for diverse viewpoints. However, without the support of an experienced advisor, mentor, or coach to help a leader metabolize the feedback, little positive change can be expected. The 360 process goes something like this. First, the company or coach facilitates a review of the leader’s performance in which his or her manager, peers, and direct reports weigh in on what he or she does well and what needs work. Most leaders cringe at the thought of a 360, but what makes this process painful – the sharp prick of many bubble bursting evaluations – is a necessary first step. In the final step, a leader works with his or her coach to create a developmental plan comprised of specific actions he or she can take to become more skilled in areas of deficiency. Actions may involve practicing new ways of relating, mindfulness exercises, or role-playing. The coach holds the leader accountable for following through with actions while also providing support and guidance. The personal and professional development that comes from stepping outside of one’s bubble and breaking down interpersonal barriers is hard fought, but the rewards can be substantial. Just remember that a 360 review is only the first step in unlocking this growth. The 360 results provide invaluable data points and a helpful roadmap, but without a trusted third party who can act as an objective sounding board, identify blind spots, and hold him or her accountable, a leader is likely to remain in their bubble. Keegan Walden, Ph.D. is the Co-founder and COO of TorchLeadership Labs. He leads a product team focused on building software that uses ongoing feedback and analytics to help leaders recognize and overcome their challenges. Prior to co-founding Torch, Keegan led the outcomes research team at a national provider of behavioral health services (5,000 clients per year), and has served on the faculty of the Department of Psychology at the State University of New York at Buffalo.